My youngest three kids read Mr. Popper’s Penguins for the literature class we do with another family. 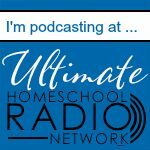 Two of my kids also completed a unit study using the book through a larger homeschool co-op. 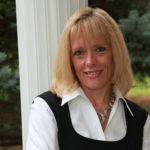 They enjoyed it, but I was stunned when the book unexpectedly came to life for my family. I will share some ideas for turning the book into a fun winter unit study, but I will end with the information that really brought the study to life for us (and no, we weren’t sent a penguin!). 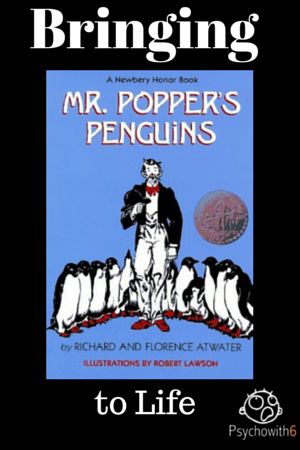 You’ll want to start by getting Mr. Popper’s Penguins from the library, or purchase it in paperback or digitally very inexpensively. There is a Mr. Popper’s Penguins movie, but I will warn you that my kids didn’t like it. 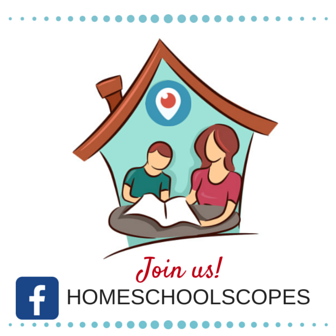 You can find a free unit study and lapbook at HomeschoolShare.com. 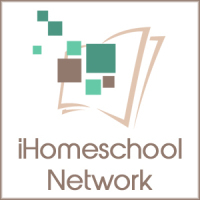 HomeschoolHelperOnline.com shares an easy free literature unit study for the book. LibraryAdventure.com gives us fun family activities to go with the book. Discovery shares its top ten penguin videos. 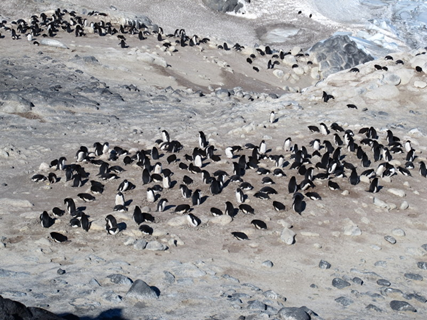 My husband’s friend, Paul Dowkontt, recently wrote him and other friends about his research and visit to a penguin colony in Antarctica. The kids and I were so fascinated by Paul’s superb writing and photographs that I asked if I could share this with you. If you enjoy it like we did, please comment so we can let Paul know. I have added a couple of notes of explanation. We’ve been making good progress on assembling and testing our ANITA instrument. On Sunday we were given our first day off. My friend Dennis the Ice Driller has a good friend who does penguin research out at Cape Royds. 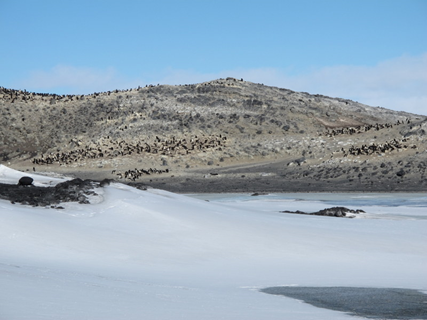 She arranged for us to go out with her for the day to see the penguin colony at Cape Royds. We went by snowmobile. The 25-mile trip out there took us about an hour going non-stop. 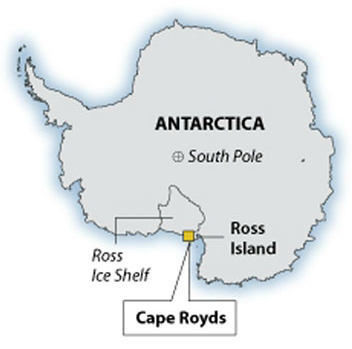 Here’s a map of Cape Royds. 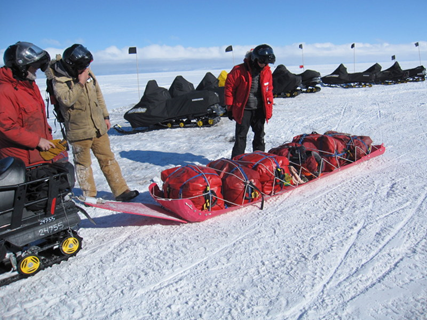 Here we are strapping down the survival bags to a sled. 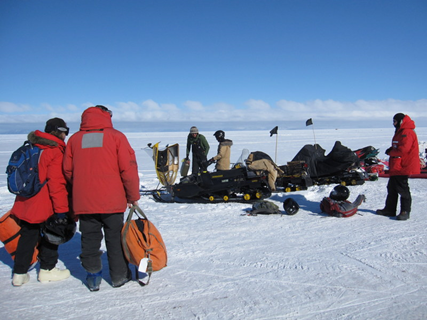 Because the weather can change so quickly here in Antarctica, we are required to take survival bags for everyone, radios, and all our ECW gear. The survival bags contain tents, sleeping bags, and food. 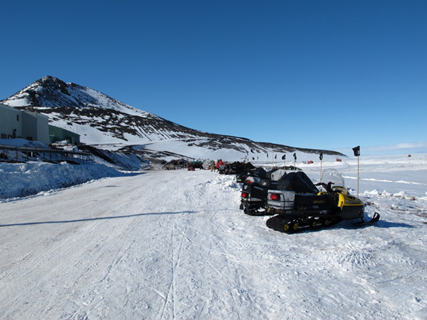 We radio the McMurdo firehouse our destination, departure time, estimated return time, and number of souls going. 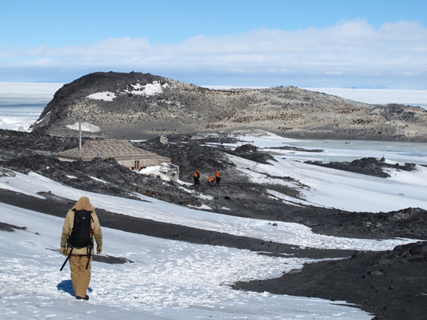 If a storm would kick in, we might not get back to McMurdo for a few days. If we don’t report back in by our estimated arrival time, they will send out the search-and-rescue crew to find us. 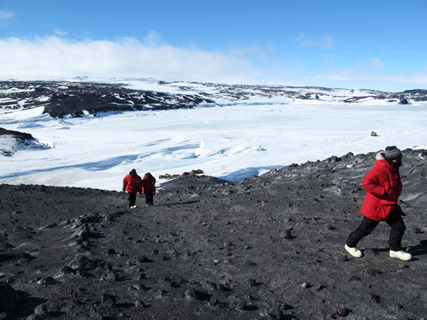 Safety is of primary concern here in Antarctica. I am ready and excited to start our snowmobile trip. I’m wearing all my ECW gear, including “big red” parka, wind pants, bunny boots, gloves with liners, balaclava, wool ski hat, and helmet. On our snowmobile, Dennis the ice driller was the driver and I sat behind him. He weighs about 230 lbs and I weigh 136 lbs. I had about 10 inches of seat space while Dennis kept complaining that he didn’t have enough room. As soon as we started, it became clear that I had to hang on for dear life. We were travelling at about 25 MPH. 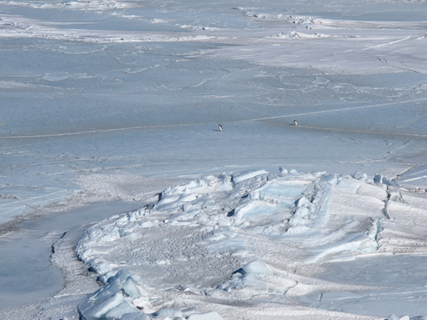 The sastrugi on the surface of the sea ice gave us constant bumps, jolts, and sideways jarring. After my first 6 breaths, my sunglasses and helmet visor fogged up completely. 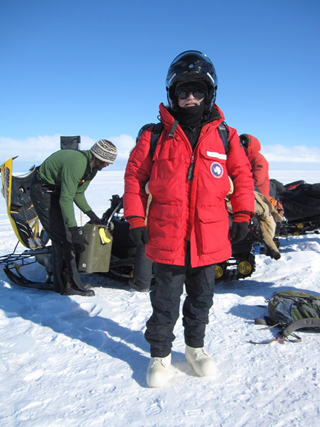 And on every bump, my wool hat under my helmet slipped slightly down over my eyes. After the first 8 minutes, it was lights-out for me until we reached our destination. 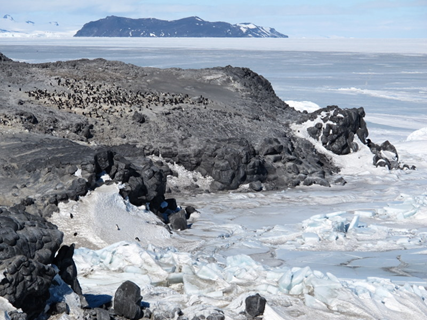 In 1908 there was a British Antarctic Expedition led by Ernest Shackelton. [Here’s an article for kids about Shackleton. ]They built this hut here at Cape Royds. 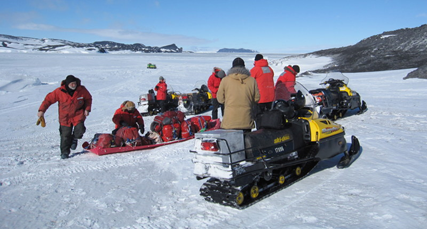 In the past, we were allowed to enter all of the original expedition huts. Inside, they were “frozen in time” exactly as they had been left in the early 1900’s by those early explorers. Today, we were not allowed to enter this hut in order to preserve its historical value. Fortunately, Google has given us a 360-degree tour of the inside of the hut! 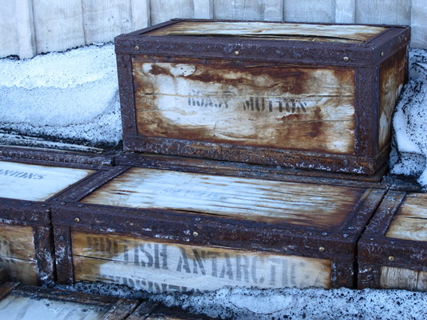 Boxes of food stacked outside the Shackleton Hut from the British Antarctic Expedition of 1908. Roast Mutton was on the menu. 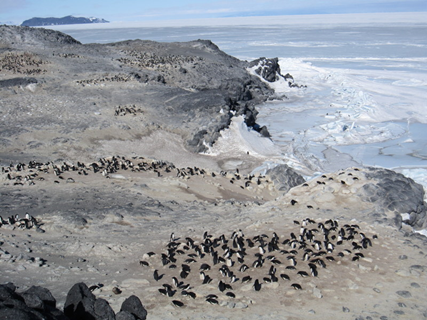 This is the Adelie penguin colony. We were not allowed to go close because it is a protected area. 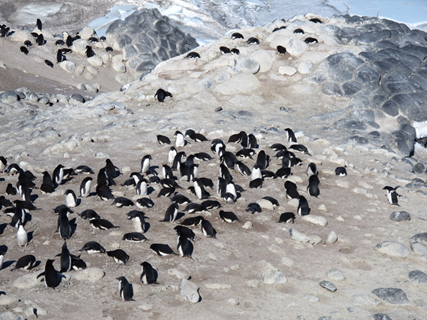 Researches have permits allowing them to walk amongst the penguins. Because they have no predators out of the water, the Adelies are unafraid of humans walking amongst them. Our host researcher, Jean Pennecook, does Skype video calls to school classrooms back in the USA while surrounded by Adelies. The kids love it. Adelies are cute little penguins about 20” tall. They walk with a funny waddle and with their wings spread out wide to the side. 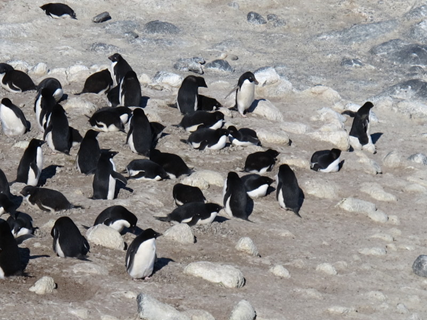 On the ice, they waddle and also slide on their bellies. It amazes me how they can get around this rugged terrain with such short legs. In the water, however, they swim with great speed and agility. 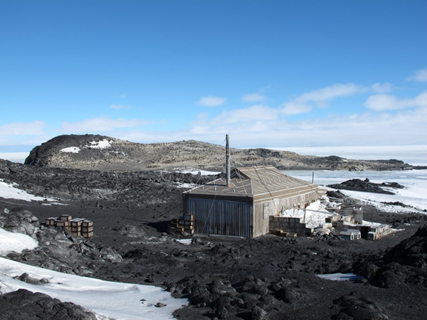 Cape Royds also has a hut used by researchers. 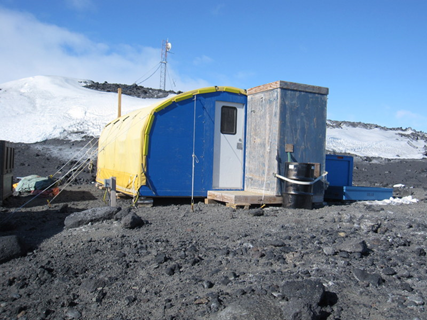 It has an outhouse, a phone to McMurdo, and some cooking facilities. The researchers usually stay in tents because the hut is small. They can stay out here for a month or two during the Summer roosting season, getting resupplied by helicopter. If you’ve intrigued the kids, they may enjoy reading more about Shackleton’s expedition or Antarctica. 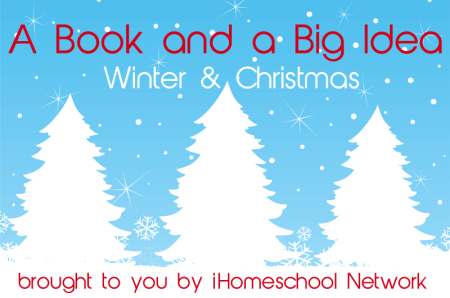 And you may want to check out other books and big ideas for Winter and Christmas on iHomeschool Network.